Sales of previously-owned homes fell by 3.3% in April on short inventory,with the housing market slowing everywhere but the Midwest. Tight supply helped drive prices higher: 40% of previously-owned homes sold in April went at or above the asking price. 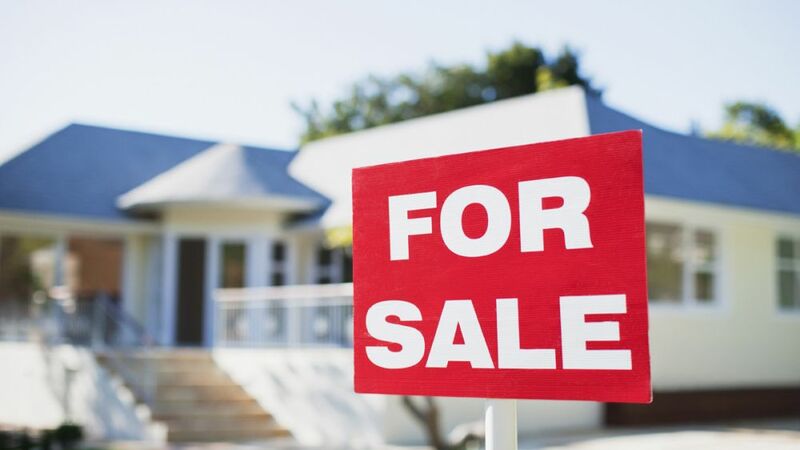 Completed transactions of existing-homes (single-family homes, townhomes, condominiums and co-ops) fell to an annual, seasonally adjusted rate of 5.04 million in April, below March's upwardly revised pace of 5.21 million, the National Association of Realtors said Thursday. "April's setback is the result of lagging supply relative to demand and the upward pressure it's putting on prices," said Lawrence Yun, NAR's chief economist. "However, the overall data and feedback we're hearing from realtors continues to point to elevated levels of buying interest compared to a year ago. With low interest rates and job growth, more buyers will be encouraged to enter the market unless prices accelerate even higher in relation to incomes." Despite the slowed pace in April, sales have now increased on a year-over-year basis for seven straight months. Compared to one year earlier, April's sales pace was up 6.1%. As of the end of April, the supply of available housing for sale stood at 2.21 million existing-homes, 10% higher than the prior month but 0.9% lower than one year earlier. The current number of homes available for sale represents a 5.3-month supply at the current sales pace, up from a 4.6-month supply in March. Economists generally consider a 6-month supply a healthy market. "Housing inventory declined from last year and supply in many markets is very tight, which in turn is leading to bidding wars, faster price growth and properties selling at a quicker pace," says Yun. "To put it in perspective, roughly 40% of properties sold last month went at or above asking price, the highest since NAR began tracking this monthly data in December 2012." Properties sold, on average, within 39 days in April–a faster pace than in any month since July 2013 (42 days), and the second-shortest sales time since NAR began tracking this metric in May 2011. (June 2013 was fastest, at 37 days). Forty-six percent of homes sold in April were on the market less than a month. But low mortgage rates may be helping the situation. The average rate for a 30-year, conventional, fixed-rate mortgage in April fell to 3.67% in April from March's 3.77%, according to Freddie Mac. Rates have now remained below 4% for five straight months. Across the nation, the median existing-home sales price in April was $219,400, 8.9% higher than one year earlier. Last month also marked the 38h straight month of year-over-year price gains, and was the largest annual increase since prices jumped 10.1% in January 2014. After the housing market crashed in 2008, NAR began tracking the share of home sales that were distressed (foreclosures and short sales)–and that total continues to notch down. Distressed sales in April were 10% of the total, flat with March but below the 15% one year earlier. In April, 7% of existing-home sales were foreclosures, 3% short sales. Foreclosures sold for an average discount of 20% below market value in April (16% in March); short sales were discounted an average 14% (16% in March). The share of homes purchased for all-cash was 24% in April, flat with March and down significantly from the 32% share one year ago. Individual investors, who account for many cash sales, purchased 14% of homes in April, as they did in the past two months, and down from 18% in April 2014. Of these individual investors, 71% paid cash in April. Single-family existing-home sales fell 3.7% to a (seasonally adjusted, annual) rate of 4.43 million in April, down from 4.6 million in March but still 6.5% above the 4.16 million pace one year before. The median sales price for an existing-home was $221,500 in April, up 10% from a year earlier. Condo and co-op sales stood at a (seasonally adjusted, annual) pace of 610,000 units in April, flat with March and 3.4% higher than one year before. The median sales price for a previously-owned condo was $206,100 in April, 0.4% higher than a year earlier. While the sales pace slowed in April everywhere but the Midwest, prices were up year-over-year in all regions. In April the existing-home sales pace in the Northeast fell 3.1% to an annual rate of 620,000, 1.6% above a year ago. The median price in the Northeast was $253,200, 3.6% higher than a year earlier. Sales in the Midwest led the regions, increasing 1.7% to an annual rate of 1.22 million in April, 13% above the level a year before. The median Midwest price was $173,700, up 11.4% from a year earlier. Sales fell in the South in April by 6.8%, to an annual rate of 2.04 million, though that pace was still 3.6% above a year earlier. The median Southern sales price was $189,400 in April, up 8.5% from a year before.